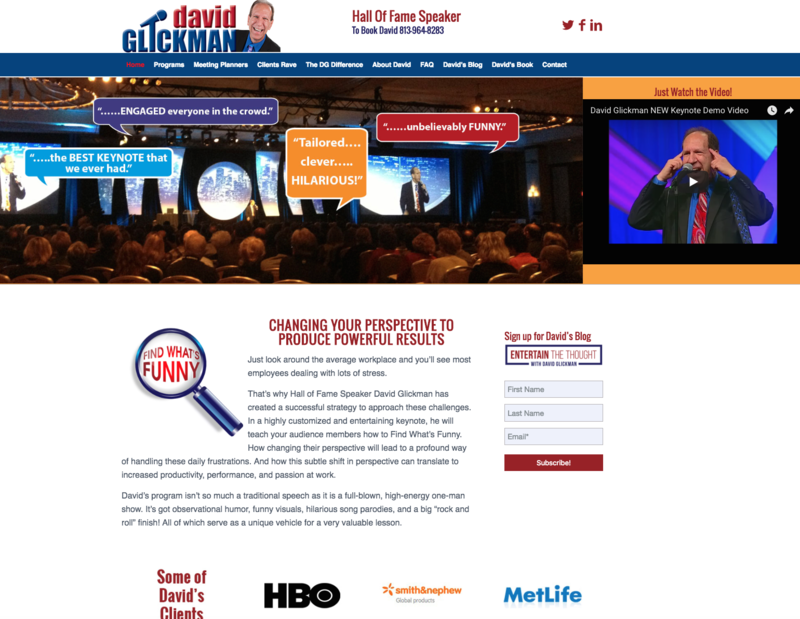 David Glickman is a funny man! He needed an updated look to his website that reflected his very animated stage presence. He also had a vision of how his audience should see him online. We worked together to develop his goals using a mobile responsive layout where his videos, sliders and blog are all accessible on the go.